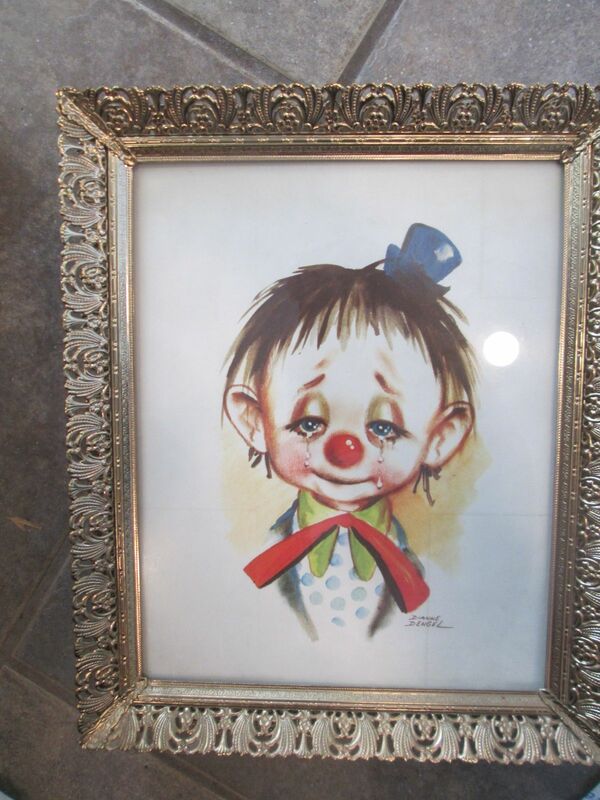 Dianne Dengel Created "Art That Makes You Smile" from the 1960's and put into these ornate frames approx 9.5' x 11". 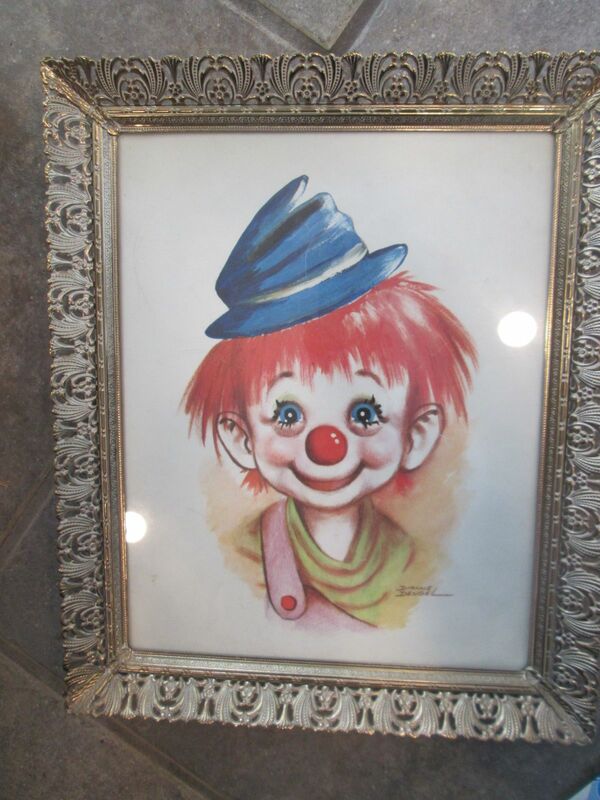 Condition of the boy clown is very good with only a little wear to the corners. The girl clown did not fair as well and she has some damage to the lamination in several spots. Both prints are securely glued to the backer board which has a beveled edge designed to create a thin border like frame.